Say hello to our new guest contributor, Eugene Lim. He reviews a debut novel set in Singapore. Who: A journalist who was born and raised in the UK, Fiona Mitchell’s debut novel, The Maid’s Room, is based on her experiences living in Singapore for almost three years. She is winner of the 2015 Frome Short Story Competition and has also been shortlisted three times for the Bristol Short Story Prize. What: The Maid’s Room chronicles the lives of three women in dire circumstances, but for altogether different reasons. Jules is newly-arrived to Singapore from the UK, desperate to conceive a baby and struggling to accustom herself to her new social circle of privileged expatriate wives whose children are left in the care of their respective maids. Dolly is a youthful, attractive woman from the Philippines who is determined to do whatever it takes to provide for a decent upbringing for her daughter Mallie, and Dolly’s older sister Tala is an experienced hand at navigating the life of a foreign domestic worker. All three are confronted with the existence of Vanda, a mysterious blogger with an apparent vendetta against foreign maids whose blog becomes a sensation for its supposed exposé chronicling their shenanigans and cautioning against giving them basic human rights. It is a story of sadness, poignancy and redemption. 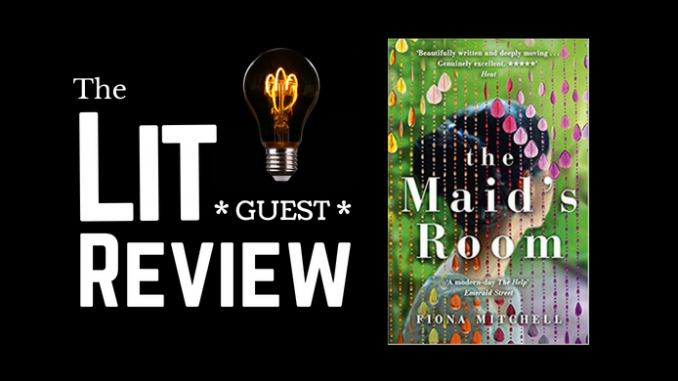 Why: The Maid’s Room is an eye-opener into our casual neglect of the welfare of a fixture in modern, middle-class Malaysian life: the foreign live-in help. In recent times we have had ample news of the mental, physical and sexual abuse of foreign maids by their employers. This book serves as a wake-up call to many, highlighting the fact that these are in fact, people with needs, emotions, fears and hopes; people who are compelled to spend years away from their loved ones in order to provide for them. The literary style isn’t very refined; but then again, this book is meant to reflect its characters, not romanticise them. This book was a tough read as time and again, I have been compelled to pause and admit distastefully that I have borne witness to live-in domestic helpers being subjected to similar experiences as Dolly and Tala, and merely shrugged it off. This is a humorous and heart-breaking tale about the daily life of someone who struggles to be heard. Thank you Pansing Distribution for a review copy of the book.